Join us this week as we welcome Country music singer songwriter, Richard Lynch. Waynesville, OH. 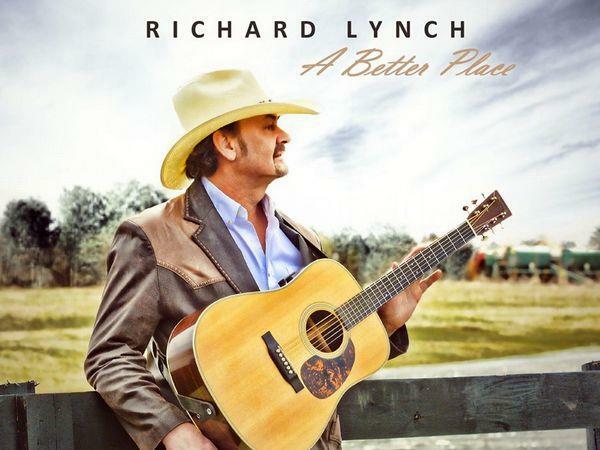 based 2015 Independent Country Music Hall of Fame Inductee, Richard Lynch is an American country music artist, who has released a long list of chart topping hits in the world of traditional country music. Lynch's style is reminiscent of the greats. The passion & purity that fueled the likes of Conway Twitty, Waylon Jennings, George Jones & Hank Williams, can be heard through the vocals & exquisite musicianship of the Richard Lynch band. Lynch's love of Country music spans 3 decades. With that, amazing live shows and songs about the 'working man' feed his audiences with adrenaline. It's country, the way country music was meant to be & they have numerous awards to prove it. Richard is a hard working, blue collar man & an American farmer. The band performs over 100 live shows across the US per year. This is a one-of-a-kind performance, that's not to be missed. Spectators walk away wanting more! And with good reason, the hand selected musicians that make up his band are recognized as the best in the industry. Ranging from pure country, western swing, rockabilly, outlaw country, and hard driving honky tonk, a Richard Lynch performance will surely warm your country soul. We will talk to Richard about his upcoming schedule, get a behind the scenes look at his music, feature his latest songs, and ask him to share his message for the troops. Please be sure to visit Richard Lynch at http://www.richardlynchband.com/ and spread the word. Fans are welcome to call in and speak live with Richard during the show (718) 766-4193. And as always we will give shout outs to our deployed military listeners. Our message to the troops: WE do what we do, because YOU do what you do.